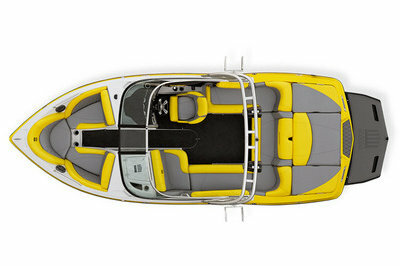 X10 packs a much bigger boat into its 21 feet. 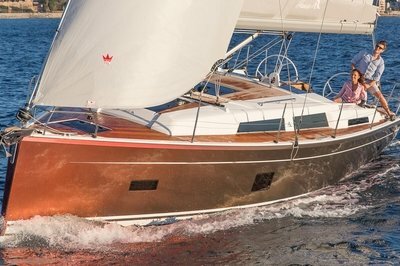 It’s nimble, handles like you won’t believe and leaves a wicked wake—plus it’s loaded with extras and intelligently designed to comfortably fit 14 people. A boat this size with this setup shouldn’t be possible, but we’re not interested in conforming to convention. 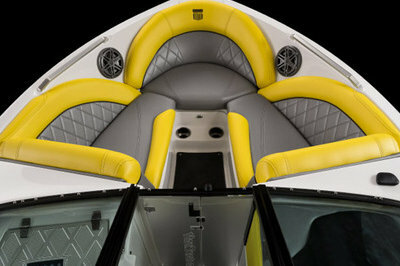 Continue reading for more information on the MasterCraft X10. Give your guests a seat in first class. The aft lounge is deep, plush and features premium accent lighting to give your boat a gorgeous glow for evening cruising. Every tactile surface was designed for convenience, comfort and durability. The high volume transom storage was built to consume everything and give you access from two sides. Easy opening lids with flip hinges offer effortless access to the high capacity coffin storage. Call the shots with a fingertip. 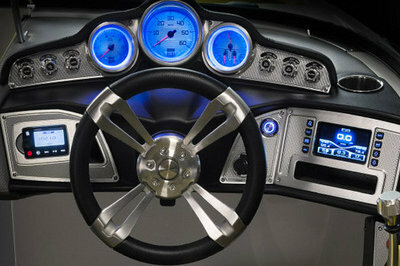 The X10 cockpit has a beautiful and simple design emphasizing visibility and usability.